We talk a lot about new laptops and we work very hard to bring you the latest and greatest laptops out there today that will work for many different people. However, sometimes all you need to do to breathe new life into your laptop is a simple RAM upgrade. Of course, simple is often a relative term. Since a RAM upgrade can often mean the difference between keeping your old laptop and buying a new one, I thought we should take some time to learn how to upgrade the RAM on your laptop. Are you ready to get started? Great! If your computer is starting to get a little age under its belt, or if you are purchasing a new laptop under $300 or under $400, you are probably already asking yourself if a RAM upgrade is worth it. Why should you bother with upgrading the RAM? After all, it will take a little work and who knows if it will really make a difference. Here are some of the benefits you will get if you upgrade the RAM on your laptop. More Speed – Now don’t expect anything groundbreaking here, but you will notice your laptop feels like it has a touch more pep in its step if you add RAM. This is due to the increased ability of storing information in the RAM without having to rely on your slower hard drive for paging files of frequently accessed and used data. Improved Multitasking – Because you have more memory, you will be able to run more apps at the same time. When you are working, this is quite handy. However, please don’t go too crazy with this newfound ability. Remember, the more you load into the memory, the memory that will be required to use the system. If you load a lot of apps, you could still slow your system down to a crawl. Better App Performance – Because you will have more RAM, applications that use a lot of RAM will be able to take more, thus speeding up their performance. That’s assuming you aren’t using it all for other applications that the same time, that is. You will notice the biggest improvements in apps designed for photo and video editing such as Adobe Photoshop. 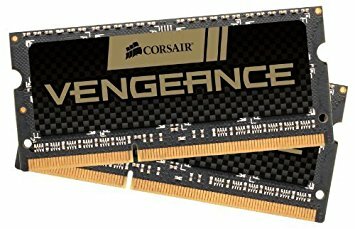 Price – RAM is often the cheapest component you can upgrade on your laptop. Due to this affordability, it just makes sense that if you are trying to get the most performance possible out of your laptop you should go ahead and perform this upgrade. Easy to Upgrade – Not only is RAM the cheapest upgrade you could do, it’s also one of the easiest, even on a laptop. It’s so easy that even computer novices should be able to easily perform this upgrade themselves without taking to an expert. As you can see, there really isn’t a reason not to upgrade your RAM, if you ask me. So what are you waiting for? Oh, that’s right. You need to know how to do it. Keep on reading. The first thing you must do is determine if you really need an upgrade at all. Most people decide to upgrade the RAM on their computer because it starts to slow down. But remember, while RAM can mean a small speed boost since it can load more apps at once and allow your machine to do more at the same time, it is not the be all, end all to your speed woes. Before you invest any of your money into new sticks of RAM, I encourage you to follow the next few steps first. This may seem obvious, but you would be amazed at how often I have to do this for people. Remove any software on your system that you never use and clean up your files. This will free up room on your hard drive and could speed up your system enough that you won’t really think about a RAM upgrade anymore. Viruses, malware, and other spyware could be lurking on your system wreaking havoc. In most cases, these malicious pieces of software only annoy us and slow down the system. In more extreme cases, they damage files and steal our data and personal information. Whatever the case, they need to be removed before you upgrade your RAM. If you don’t, your RAM upgrade won’t help you at all and all you will do is give the malicious software more power to run more efficiently. Not all of us are very good about updating our laptops. But the thing is Microsoft and the laptop hardware manufacturers are almost always releasing new drivers and patches to fix bugs and even improve the performance of our laptops. Before you decide to buy new RAM, run all the latest Windows updates and install any driver updates available for your laptop hardware. I know many of you won’t like the sound of this, but you may want to consider wiping your hard drive and doing a clean install of Windows. This will remove any junk that has accumulating in the registry and on the hard drive that could be slowing your system down. The other steps above will only do so much, and by doing this, you could avoid the need to spend any money at all. 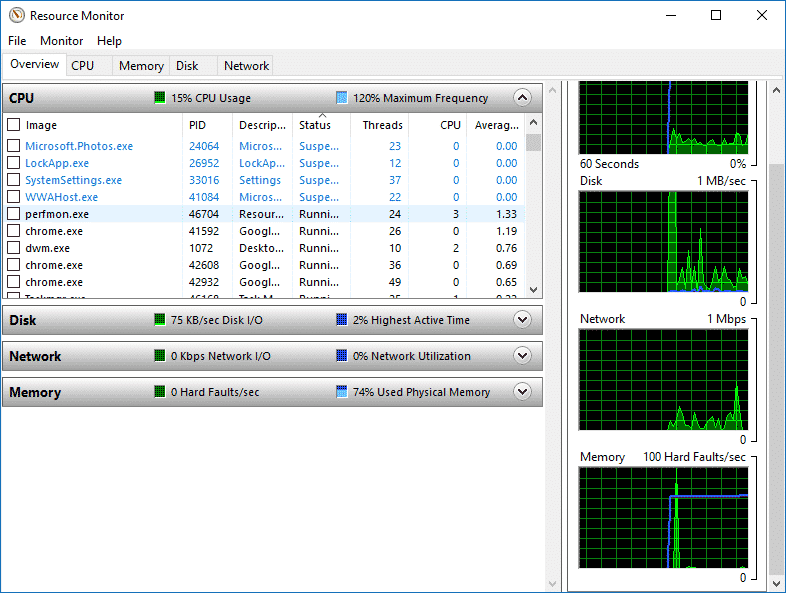 Once you have completed all the cleanup, you should spend some time in your task manager under the Performance tab. This tab will show you how much memory your system is using at any given time. If the graph stays close to the top, then chances are you are maxing out the memory on your system. 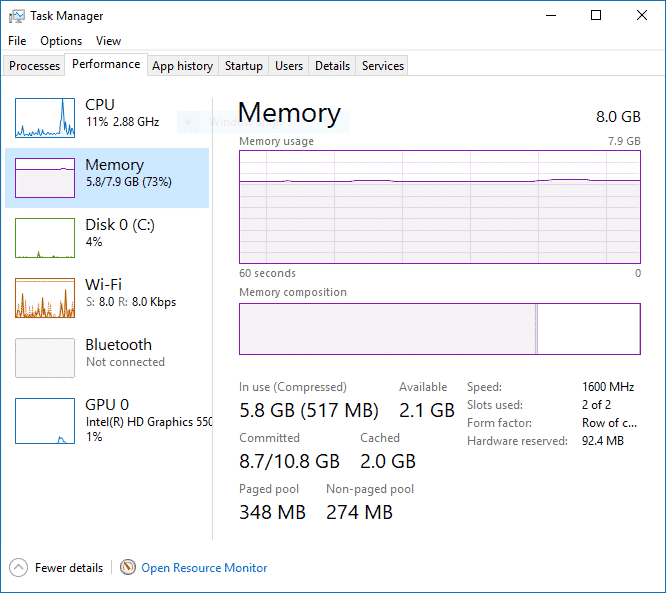 The resource monitor can be accessed by clicking on it under the Performance tab in Task Manager, and it can give you even more insight into your memory situation. In the list, you will see what apps are using the most memory on your system. It will continue to track how much you use as well. You could running this monitor and then use your computer like normal and see how the graph plays out. If most of your RAM continues to be taken, then it is definitely time for an upgrade. Once you have performed everything above, it’s time to make your decision. Does your system still seem slow? Is your Memory sections in the Task Manager continue to be pushed to their limit? If so, then it could be time to add memory to your computer. 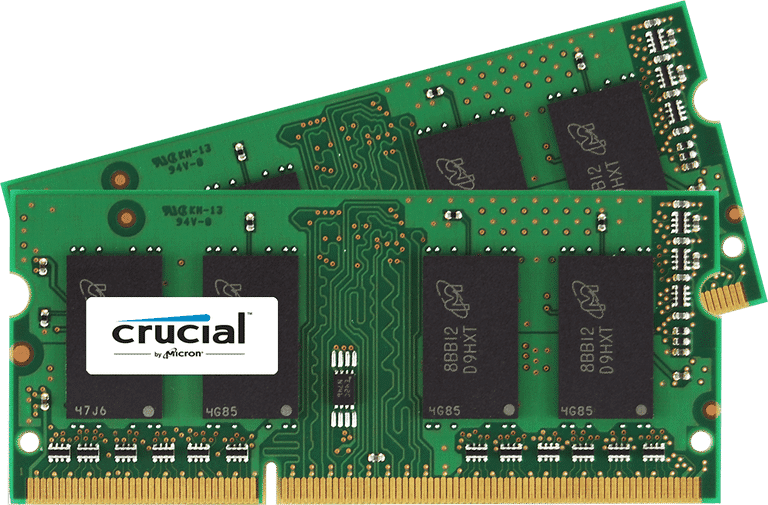 Before you can install new memory in your laptop, you first have to determine if your laptop can be upgraded and, if it can be upgraded, what type of RAM will you need and how many sticks of RAM you will need. Some laptops, unfortunately, come with RAM that is soldered onto the motherboard. This has become more popular in recent years as laptops have gotten thinner, lighter, and more portable. Laptops such as the HP Spectre x360 and the MacBook Air are well known for this drawback. If you aren’t sure if your laptop is upgradeable or not, keep following this guide. The next sections will not only show you how to identify the RAM you have and what you need, but also if you can even upgrade them to begin with. 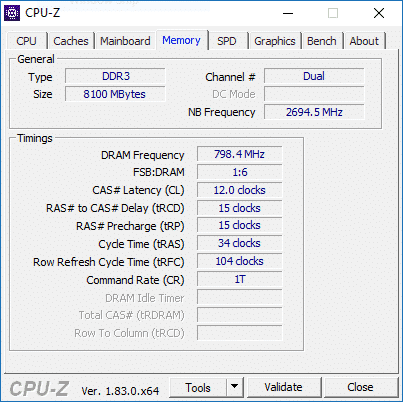 There are a few things you need to know in order to upgrade the RAM on your laptop. There are many different types of RAM and they all run at different speeds. When upgrading, you need to match the speed and type of RAM that is installed on your system. On top of that, you need to know if you need to install your RAM in pairs and how many empty slots you have. If you don’t have any empty slots, and you still want to upgrade, then you must remove a stick of RAM and replace it with it with a larger one to upgrade. Luckily, there are a few ways to figure this information out that don’t require you to open the laptop to have a look. The first option out there for you is CPU-Z. This is one of my personal favorites. This handy little tool will scan your system and identify everything you need to know about the RAM on your system. You can see how many slots you have, the speed of your memory, and how much your system will use. This is a great way to identify the type of RAM you have. However, it’s not just the RAM identification that makes this tool so useful. It will show you pretty much everything you need to know about your system, which can be handy if you are considering other updates or are just looking for the right drivers for an upgrade. Another really handy tool that you can find online is the Crucial Memory Advisor. This tool will walk you through the different models out there of laptops and desktops and help you find the exact amount of memory your system has and can use, as well as the type of RAM you will need for your system. It even has a way for you to scan your system to find all the information for you. What is nice about this tool is that since Crucial sells memory, it can quickly select what you need so all you have to do is check out without having to worry about buying the wrong thing. Finally, now that you have identified the memory in your system and what type of sticks you will need to upgrade, you can order your memory. 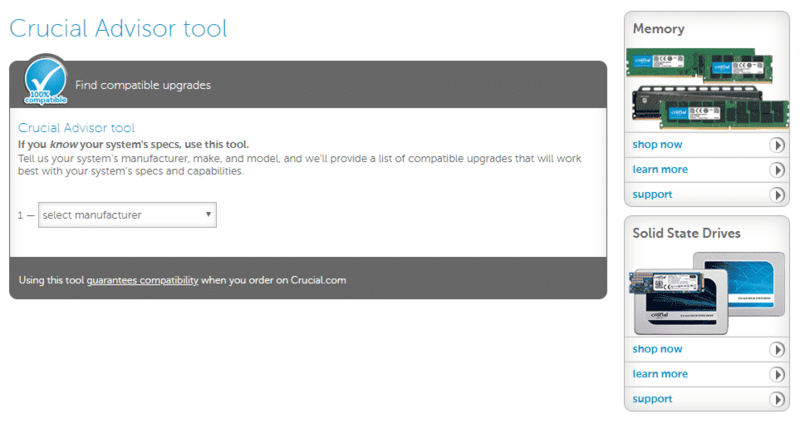 Again, you could order straight from Crucial. They do make great memory. However, you don’t have to order it from there. Amazon and Newegg do have great deals on RAM, but you can also visit sites like Best Buy or even visit your local electronic store to buy the memory you need. Now it’s time to install your new RAM. Don’t worry, the actual process of installation is far easier than determining exactly what you need to order in the first place. You can’t upgrade anything when your laptop is on. Close all your applications and save your work. You may want to back up anything important just in case there is a problem, but the chances of this are minimal. When the machine is off, go ahead and unplug it from the outlet and if you can, remove the battery. Close your laptop and turn it over. On the back above the battery, you will find a panel where your memory is stored. Using a small screwdriver, unscrew the panel and pop it off the laptop. Before you touch the sensitive RAM modules, you need to discharge any static electricity from yourself. This electricity may be harmless to us, but computer components don’t like it one bit. While sitting at the laptop, touch any metal on the laptop case that you can find to ground yourself and get rid of that pesky static charge. First, if you need to remove an old module to replace it with a new one, pull the pins on the side of the memory and then lift it from the sides gently, but firmly and pull it from its slot. At a 45 degree angle, insert the new memory by holding it on its edges and sliding it down into place. Once in place, press the RAM flat and make sure the pins on the side lock it into place. Once the RAM is in place, go ahead and replace the cover and screw it back into place. Then, replace the battery and plug it in, if necessary. Now that everything is back together, you should simply be able to turn on your laptop. If everything went well, it will boot up and you will have your new memory. To check your memory, go to Start – Settings – System – About and verify that the new amount of memory is present on your system. If it is, you are finished and can get back to work. If not, you may need to verify that the RAM is installed properly. Upgrading the RAM on your laptop is one of the easiest and most cost effective upgrades you can perform yourself on your favorite portable computer. However, when you do upgrade the memory on your laptop, you need to make sure you order the right type of RAM, otherwise you won’t be performing an upgrade anytime soon. By following this guide, you should be able to easily select the type of RAM you need and even perform the upgrade yourself saving yourself a bit of money in the process. Upgrading the RAM in your laptop is quick and easy and could mean the difference between needing a new laptop and keeping your old laptop. While this isn’t always the case, the more memory you have the better your system will run, so why not upgrade the RAM on your laptop? Have you ever upgraded the RAM on your laptop? If so, how did the upgrade go for you? Did you find it easy or difficult? Tell us your experience in the comments below.